John Timlin and Erin Buckner are seasoned professionals who oversee operations and compliance for multiple businesses, including cannabis, so when it became legal in Nevada, they moved to Las Vegas to seize the region’s many potential opportunities. While valley residents for about five years, the couple has been renting an apartment in the northwest. A few months ago, they decided it was time to plant roots and with rising interest rates, they knew there was no better time to become homeowners. Timlin and Buckner admitted they were expecting the financing process to create hurdles and cause delays, but to their surprise, Juhl’s team and partners, The Federal Savings Bank, made the entire experience seamless and enjoyable. 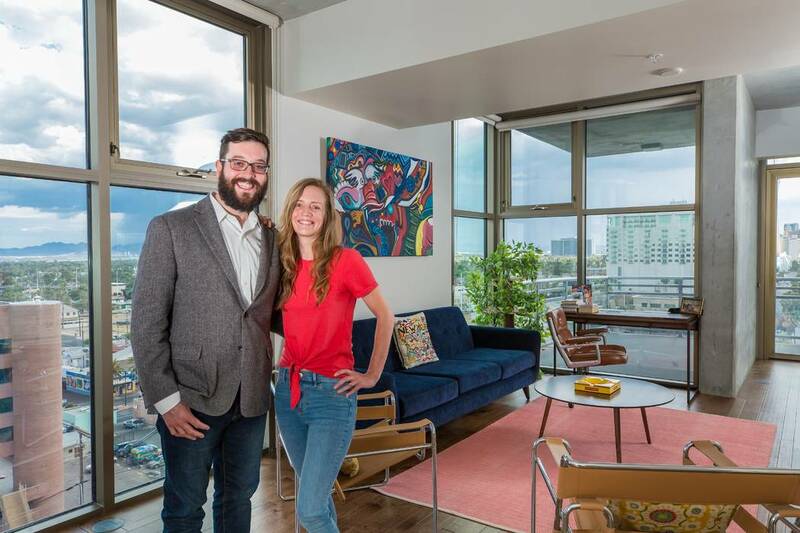 “We purchased a one-bedroom corner residence that offers views of the Strip, as well as the iconic downtown Las Vegas area, so we have the best of both worlds. And Juhl could not be more perfectly located. It’s close enough we have direct access to downtown’s eateries, art galleries and bars, but still far enough that we don’t have to hear all action when we want some peace and quiet,” Buckner said. The couple said many of their clients live and work in downtown, so living at Juhl has significantly reduced their work commute. “We also have lots of friends who visit us often, so we are frequent users of Juhl’s luxury amenities like its resort-style pool. I wake up every morning and feel like I’m in a luxury hotel. I joke and say I don’t want to wake up one day and be kicked out because our new lifestyle here has truly been so dreamlike. I have to pinch myself as a reminder it’s real,” Buckner said.